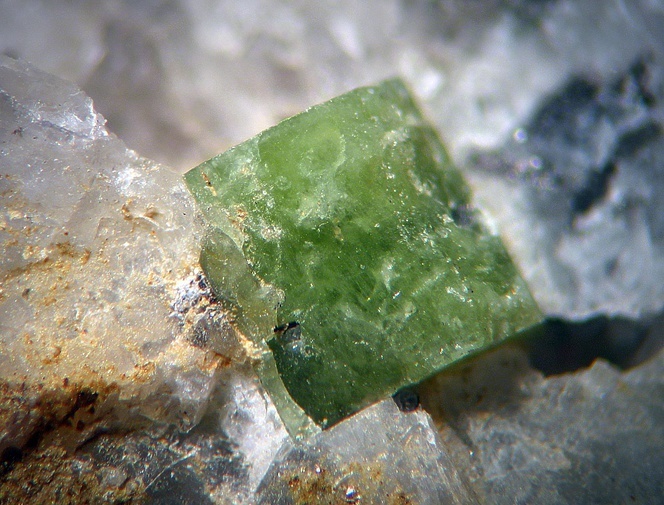 Turkestanite: Mineral information, data and localities. Named after the discovery locality, along the Turkestan Ridge, Dara-i-Pioz massif, Tien-Shan Mountains, Tadjikistan. 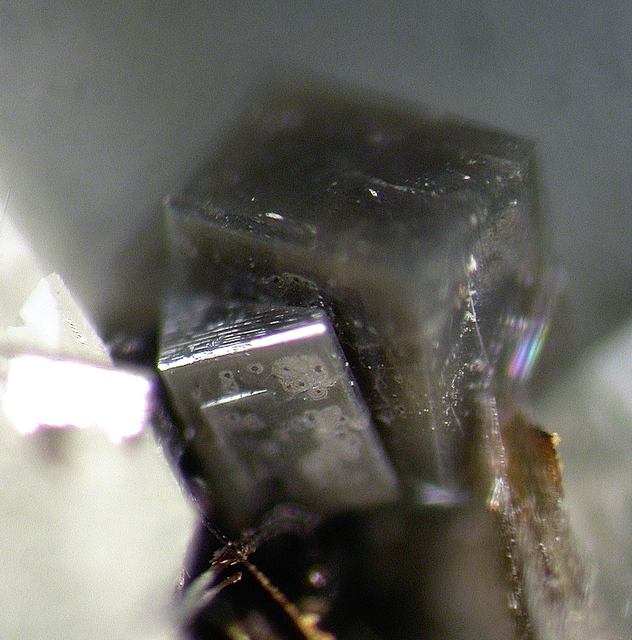 Steacyite Group. 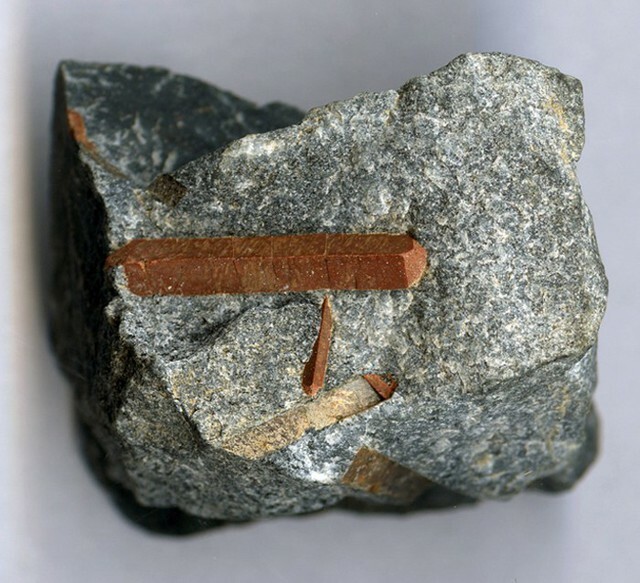 The thorium analogue of Arapovite. Aegirine 3 photos of Turkestanite associated with Aegirine on mindat.org. Quartz 2 photos of Turkestanite associated with Quartz on mindat.org. Calcite 1 photo of Turkestanite associated with Calcite on mindat.org. Fluorite 1 photo of Turkestanite associated with Fluorite on mindat.org. Arapovite 1 photo of Turkestanite associated with Arapovite on mindat.org. Albite 1 photo of Turkestanite associated with Albite on mindat.org. PAUTOV, L.A., AGAKHANOV, A.A., SOKOLOVA, E.V., and KABALOV, Yu.K. (1998) Turkestanite, Th(Ca,Na)2(K1 xGx)Si8O20•nH2O, a new mineral with doubled four members silica rings. Zapiski Vserossiiskogo Mineralogicheskogo Obshchestva, 126(6), 45 54 (in Russian). English abstract: American Mineralogist 83, 1348-1349. Kabalov, Yu. K., E. V. Sokolova, L. A. Pautov, J. Schneider: Kristallografiya (1998): 43: 632-636. Neues Jahrbuch für Mineralogie, Monatshefte (1999): 9: 424-432. Vilalva, F.C.J., and Vlach, S.R.F. (2010): Major- and trace-element composition of REE-rich turkestanite from peralkaline granites of the Morro Redondo Complex, Graciosa Province, south Brazil. Mineralogical Magazine 74(4), 645-658. HORVÁTH, L. & HORVÁTH, E. (2012) Turkestanite from Mont Saint-Hilaire. MICRONEWS 46(3), 22-25.
ⓘ Aris Quarries (Ariskop Quarry; Railway Quarry) ? Uwe Kolitsch (single-crystal X-ray diffraction); Blaß, G., Kolitsch, U., Tremmel, G., Esche, J. (2016): Neue Mineralienfunde aus den Phonolithbrüchen von Aris in Namibia. Mineralien-Welt 27 (4), 48-60 (in German). Canadian Mineralogist 42:107-119 (2004); Agakhanov A.A., Pautov L.A., Karpenko V.Yu., Bekenova G.K., Uvarova Y.A. (2011) Orlovite, KLi2 TiSi4 O11F, a new mineral of the mica group New Mineral Data 46:13-19; Agakhanov, A.A., Pautov, L.A., Sokolova, E., Hawthorne, F.C., Karpenko, V.Yu., Siidra, O.I., Muftakhov, V.A. (2016): Odigitriaite, CsNa5Ca5[Si14B2O38]F2, a new cesium borosilicate mineral from the Darai-Pioz alkaline massif, Tajikistan: Description and crystal structure. Mineralogical Magazine, 80, (in press).